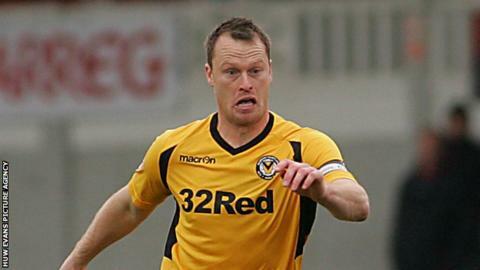 Newport County midfielder Michael Flynn has confirmed he is set to sign a new one-year deal with the League Two club. The former Wigan Athletic and Blackpool player was told in February this year that the club would not be offering him a new contract. But the 33-year-old, in his third spell with County, is delighted to have changed manager Justin Edinburgh's mind. "It's a big bonus for me because I love playing for my hometown club," he said. "I've done his ears in throughout the last few months making sure I'm here next season but the only place I could do my talking was on the pitch. "He gave me the opportunity to get back in and it was one I wasn't going to let go because playing for Newport has meant a lot to me." Edinburgh has also offered contracts: Lenny Pidgeley, Max Porter, Ismail Yakubu, Lee Minshull, Chris Zebroski, Andy Sandell and Danny Crow. He is still in talks with defender Byron Anthony and is hopeful Welsh international Darcy Blake will agree a new deal.